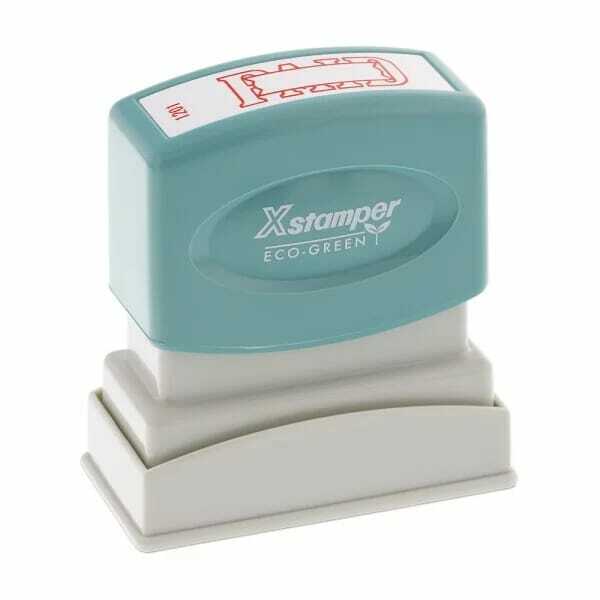 This Xstamper 1-color stock text stamp is perfect to mark your documents with the message PAID. The laser engraved die creates a perfect imprint and makes up to 50.000 impressions. Your Xstamper can be re-inked. Customer evaluation "Xstamper Pre-Inked Stock Stamp - PAID (1201)"
Clear and distinct impressions, ample ink supply. Clear and distinct impressions, ample ink supply. Very good price for product.